This special issue aims to explore the philosophical investigations of flora in the seventeenth century. 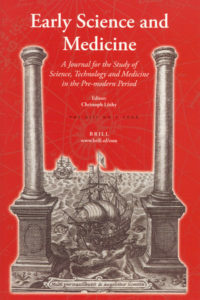 In the early modern period, natural philosophers regarded plants not just as bodies that are collected for their rarity, curiosity or medical uses, but also as objects that could elucidate natural phenomena at large, which facilitated inquiries into fundamental natural processes, and served as fitting models to explain nature and life more generally. According to this interpretation, we canvass several case studies (vegetal magnetism, vegetal sensation, and vegetative powers and soul) to analyse the diversity of the early modern study of plants as an integral and critical part of natural philosophy. For details, please see the journal’s website.